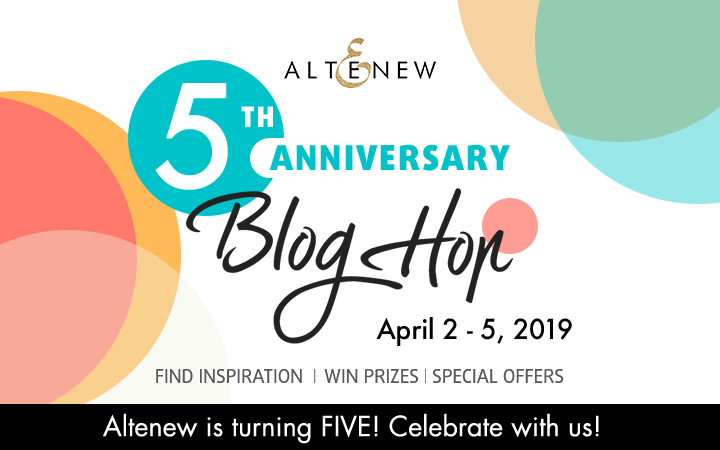 Altenew 5th Anniversary Blog Hop Day 2 + Giveaway! Hi there and welcome to my stop on the Altenew 5th Anniversary blog hop! I’m so glad you’re here to help celebrate FIVE years! Congratulations, Altenew! Be sure to read their story here — so inspiring you all. I’m so happy and honored to sharing in the celebration as this is one company that I truly love. 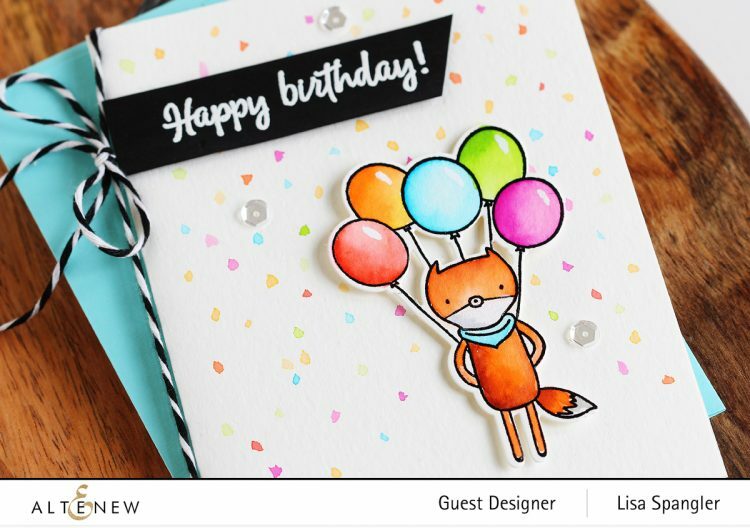 I’ve got two clean and simple cards to share with you today using the Big Hugs stamps and dies — these stamps were drawn by my sweet friend May’s husband and they’re just so adorable! These cards use the newly released Tropical Fiesta Watercolor brush markers — I just can’t get enough of them! I love the colors in this set so much, especially that turquoise. Plus while I was swatching out this set it hit me that it’s perfect to use for coloring critters: it has a paper bag, a nice brown color, and lava rock, a soft warm gray. So good. Pre-wet the area with water — I used the waterbrush for this, but you could use a regular paintbrush as well. I like to work in small areas at a time. So in this case, I pre-wet a single balloon at a time. 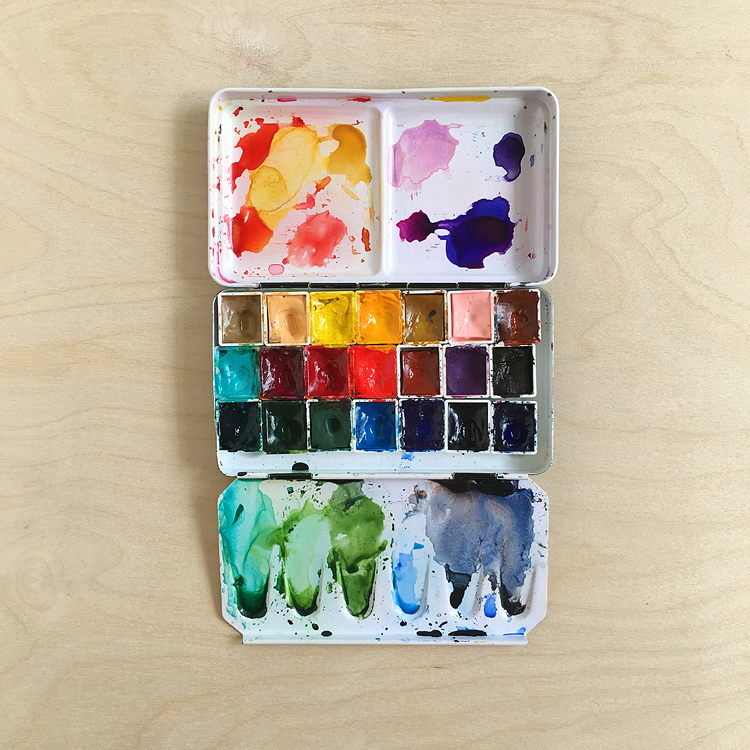 Add color with the watercolor brush marker. Go back and add a little darker shading with the marker if needed. Here I used warm sunshine + paper bag for the fox and then various colors for the balloons. Oh and it’s hard to see in the photos, but I added a little lava rock to the white parts of his chin and tail. :) Oh and I added a little white highlight with Dr. Ph Martin’s bleedproof white — this stuff is so good, doesn’t dry out on me the way white gel pens always do. Also! I wanted to practice actually drawing with the watercolor markers, so I decided to add some confetti — I think it makes the card! Sometimes as stampers we think we can’t draw — but I feel like anyone can make little dots for confetti. 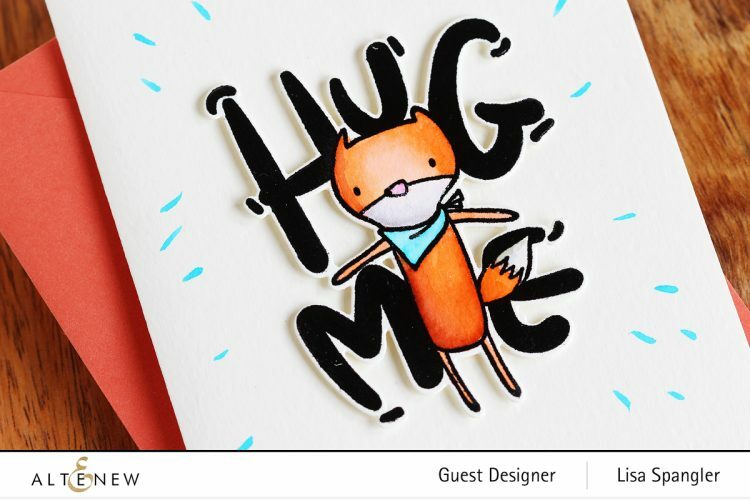 Now how about a closer look at the Hug Me card? Ahhh that fox steals the show! Be sure to leave comments by 4/12/2019 for a chance to win! 33 winners will be chosen at random from the comments left on any of the blogs listed below and will be announced on the Altenew Blog on 4/20/2019. This crafty industry is just the best, right? And that’s not all! Enjoy FREE U.S. shipping with code HAPPY9M or $5 OFF international shipping with code SHOPPING9M at checkout. Offer valid now through 4/5/2019 at 11:59 pm EDT. Not valid on prior purchases. Cannot be combined with other promo codes. Your next stop on the hop is Jen Schow’s blog — just wait until you see what she’s made! Here’s the full list in case you’re just now joining us. Don’t forget, the more comments you leave, the more chances you have to WIN! Note that these are my affiliate links so if you make a purchase by clicking the link below I’ll receive a small commission at no charge to you — thank you! 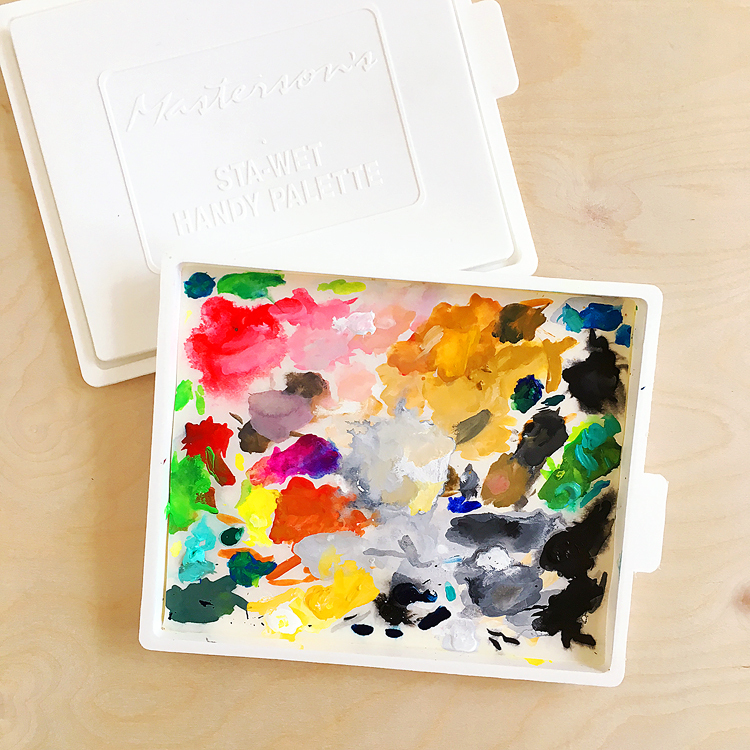 Here are the supplies I used in this post over at Altenew — don’t forget to add the code to save on shipping, now through April 5th! And that’s not all! 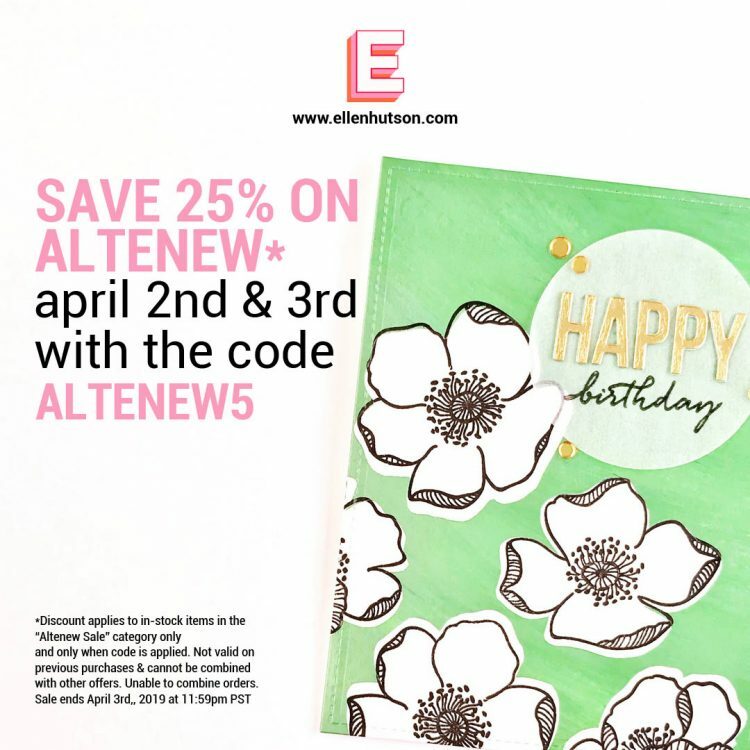 One of our sponsors, Ellen Hutson, is having a 25% off sale with code ALTENEW5 yeah!!! I’m so proud to be a Design Ambassador for Ellen — such a great team. Click HERE to shop the sale — take note that the sale ends today…! I’ve listed a just a few of my favorites for you — you’re welcome! :) I tried to pick products that were in stock, but they keep selling out. They’re that good. Also just had to add that this is just the best embossing ink I’ve found, hands-down. Happy Birthday, Flora & Fauna! 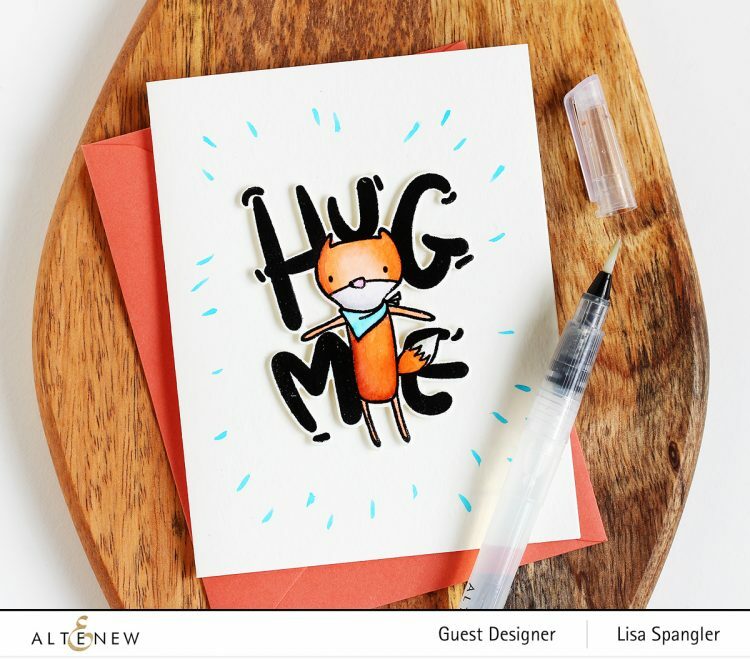 Essentials by Ellen April Release — it’s PIN-tastic! 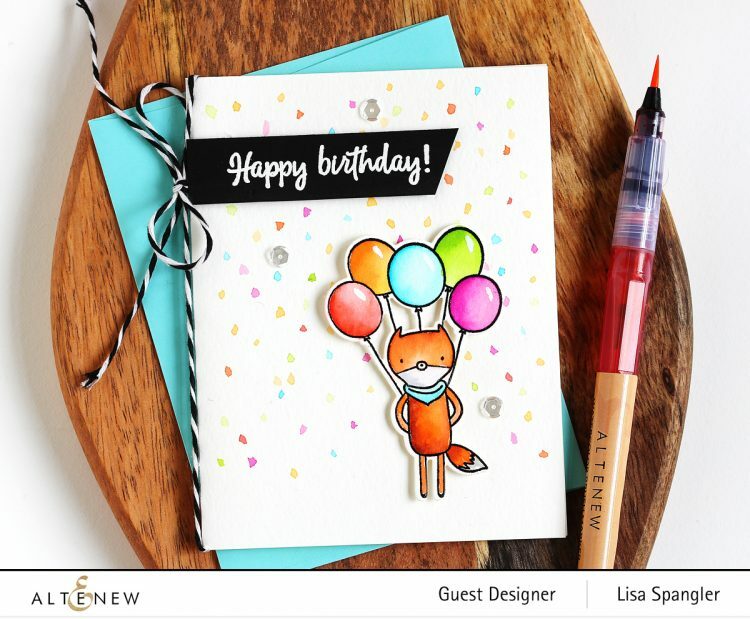 I love the fox card! Happy Birthday Altenew and many more! Cute cards! I too truly love this company! Two very fun cards, well done. Thanks for sharing and Happy Anniversary Altenew! So cute!! I really want to try some of those! Enjoyed your cards and it was nice to see something a bit different than the florals. Here’s a hug for you. So fun, Lisa! Love the happy colors, and the confetti on the first card made me smile! Sweet cards! But alas, I cannot draw! Good thing Altenew makes beautiful stamps for me to use! Such fun cards when a person is a Gramma such as I am. Always looking for ideas for the young ones. Keep up the good work. Such cute cards! Everyone needs a hug now and then. Great use of the markers too. Lovely Foxy card. Happy Anniversary Altenew! 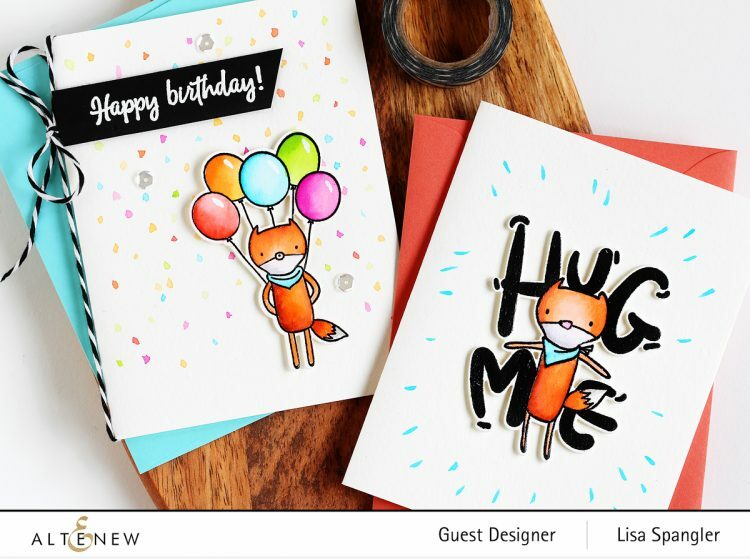 LOVE your SWEET foxy designs, colouring and STYLE! Really cute cards! So much fun. Thanks for sharing! These cards are so cute and sweet. Love the gorgeous backgrounds you have created.